Cobb-Vantress hosted VII Regional Technical School (VII Escuela Técnica Regional Cobb) in Punta Cana, Dominican Republic. 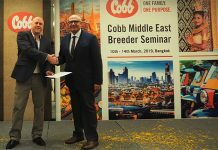 Cobb’s experts talked about the latest product information, insights on market trends, broiler and breeder management, hatcheries, and processing plants. 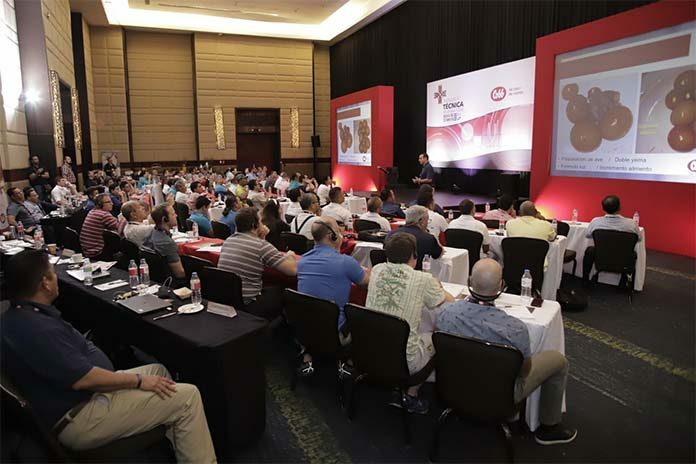 More than 100 poultry professionals from 10 countries across North and Central America joined together last week in Punta Cana, Dominican Republic, for Cobb-Vantress’ VII Regional Technical School (VII Escuela Técnica Regional Cobb). 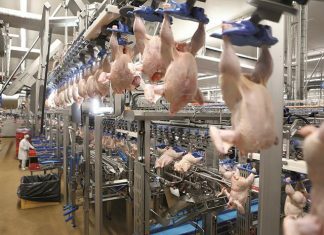 Held every 18 months, the event offered the latest product information and insights on market trends, broiler and breeder management, hatcheries, and processing plants. Together with the company’s Caribbean distributor, Cobb Caribe, Cobb welcomed customers from 40 companies to the conference. Each day of the event was dedicated to a specific topic: delving into breeders on October 23, examining broilers on October 24 and exploring hatcheries on October 25. Throughout all of the presentations, attendees had the opportunity to hear from Cobb’s expert technical service team and respected industry consultants. While in Punta Cana, conference attendees also heard from Cobb experts on some of the latest news out of the company and the industry including an update on Cobb’s genetic program, market trends, how to maximize profitability of a poultry operation, and best practices on key topics such as nutrition and ventilation. Cobb’s technical service team shared a variety of case studies with the group, illustrating new techniques and offering real-world data as support. The 2018 program represents significant growth for the regional technical school, including customers from Canada, Costa Rica, the Dominican Republic, El Salvador, Guatemala, Honduras, Jamaica, Mexico, Nicaragua and Panama. Cobb also participated in the Latin American Poultry & Nutrition Congress 2018 in Miami. 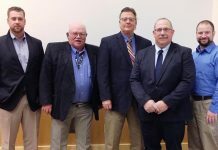 A biennial event for poultry and animal nutrition specialists to share information. The event ran from October 22-26, 2018, at the Hard Rock Hotel & Casino Punta Cana and was just one of two events Cobb sponsored for Latin American poultry professionals last week. Cobb also participated in the Latin American Poultry & Nutrition Congress 2018 in Miami — a biennial event for poultry and animal nutrition specialists to share information.